Shame on me. This is a long overdue post. Sorry guys. Spotted at Newport Cinemas during last month's launching of AXN's Blue Bloods are a number of local and international celebrities. I was there, invited to cover the event so I naturally took photos of them and with them. Let me share. First off, there was Mr. Mario Dumaual of ABS-CBN who came to interview Amazing Race Asia's The Riches. I mean, Richard and Richard of team Philippines, also Season 2's winner. 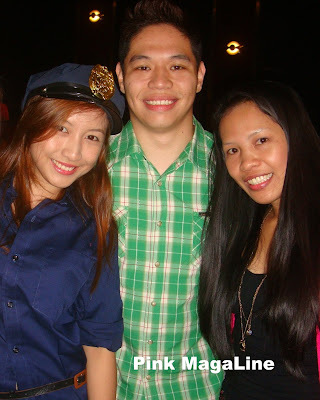 I also (finally) met sweethearts Hannah Villasis of Flair Candy and Vince Golangco of When in Manila. 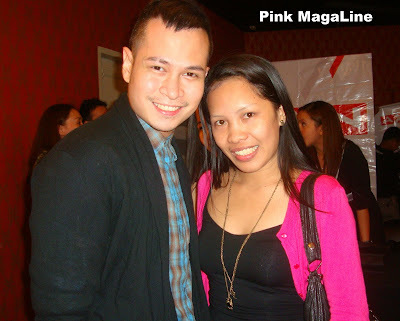 Vince is a dj for Mellow 94.7 and same with Hannah, is also a host for Tek Tok TV. who are those two PR people btw?